When Wild Thing began preschool, I decided to start a loose Tot School with Caterpillar focusing on a Letter of the Week approach. I used the 5 senses to help guide me through our daily activities. As the process has evolved, the activities have become joint tot and preschool learning activities instead of activities Caterpillar and I do while Wild Thing is at school, as I had originally imagined. This week, I'm late sharing because Caterpillar was sick for a few days. My goal is to share on Tuesdays, and I hope to get on track next Tuesday with the Letter F. For now, I hope you enjoy seeing what we've been doing with the Letter E! 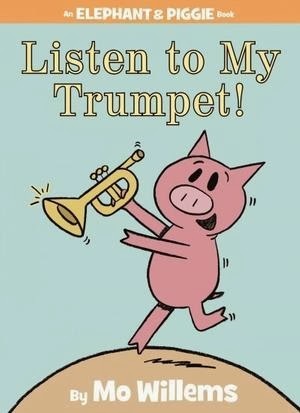 We didn't have the book on hand this time from the library (we hardly need it anymore as Wild Thing can recite and reenact the entire thing). 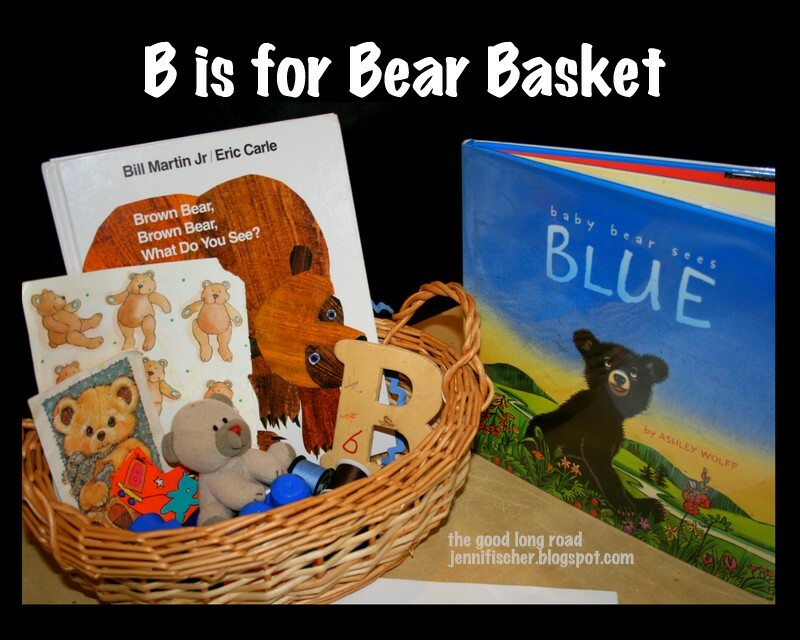 We did have some other elephant books we used to put together our first Letter E basket. We also put together a challenging, but fun elephant puzzle my brother sent us from Thailand. The pieces lock together in alphabetical order and the boys love that there is a mommy or daddy elephant with two little elephants -- just like them! (The flip side of the puzzle are numbers, so you can put it together that way as well). As we wrapped up our elephant fun, we did a special letter E color by number color sheet that a friend made us --- inspired by Romero Britto. We have a color sheet for every letter, so each week we get to do one of these special color sheets. Wild Thing really loves them. Our elephant fun was followed by exploring something we taste that begins with the Letter E - eggs, of course! The boys helped me crack open some eggs to scramble, and we also boiled some eggs so that they could see the difference between those two types of egg preparations. They enjoyed digging into their scrambled eggs. They also helped me make one of my favorite egg dishes -- my mayo-less egg salad. This is a perfect meal for them to help with since eggs and avocados are things that little ones can help to dice and slice quite easily. 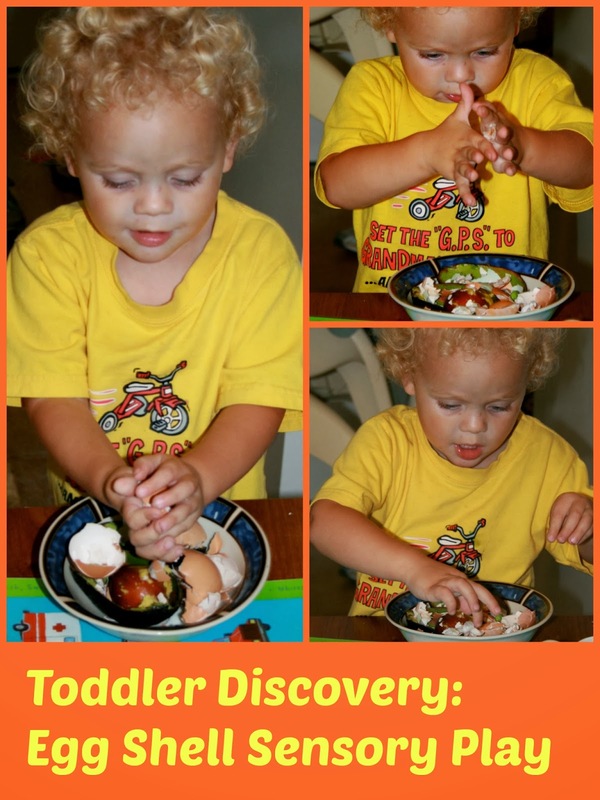 Wild Thing used a plastic knife to cut up the avocado and Caterpillar loved using the egg slicer. What surprised me the most, though, was how much fun Caterpillar had with the egg shells. I had not intended for him to explore them. I had bowl to put the egg shells in (along with the avocado peels) for our compost. Caterpillar instantly went for the bowl and loved crushing the egg shells. I realized they offered a wonderful sensory exploration for him. They were perfect for our sense of touch as well. The other letter E word for touch was Earth. We discussed what the Earth is, since they are 2 and not quite 4, and discussed all of the elements of the Earth we could touch and see. I found some Earth color sheets I had left over from an after-school program I used to run. We colored them and Wild Thing practiced using his scissors -- cutting out the letters and respelling the word Earth. I also put together a basket full of books about different countries providing us with an opportunity to discuss how countries, continents and ocean are all part of the Earth. Finally, for sight and sound, it seemed obvious and appropriate to discuss eyes and ears. The boys get Ranger Rick magazine each month, which my mother ordered for them. They love looking at the animals and learning about different animals, so we discussed our own eyes and ears and what we see and hear. We also looked at how different animals have different eyes and ears as well, and I put together a couple of simple matching activities for them. My big fail with the Letter E was smell. My plan was eucalyptus, even though it doesn't sound like a letter E word. I went to a couple of different nurseries and plant stores and no one had eucalyptus. There are eucalyptus trees in our neighborhood, but none that I could actually get to for accessing the leaves to put together a nice sensory basket. I didn't manage to get any eucalyptus oil either, and I really didn't want to use rotten eggs for smell, so we skipped it! Bummer, but the boys still had lots of fun learning about the letter E. What would you do for the Letter E and the sense of smell? 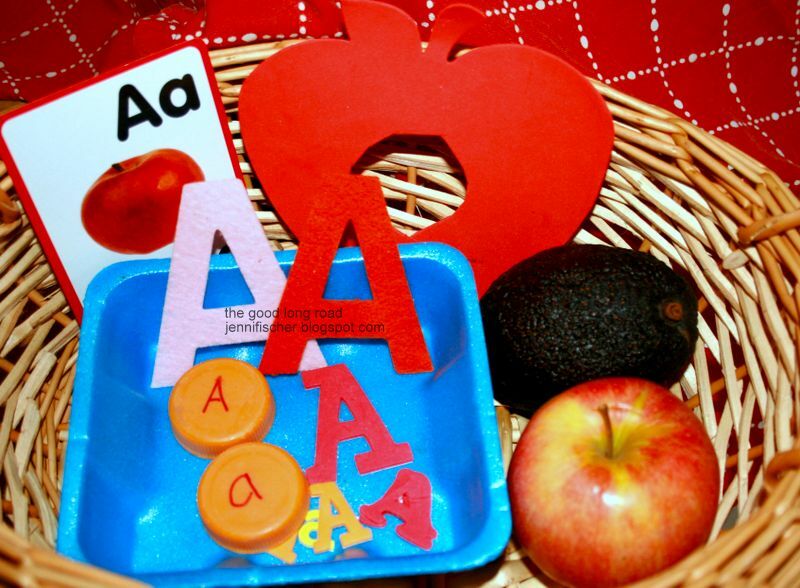 For more ABC activities, you'll want to check out 31 Days of ABCs presented by All Done Monkey -- numerous bloggers have come together for this unique link up. A different blogger features a letter each day and hosts a link-up for other activities related to that letter. It should be a wonderful resource for parents and educators! I'll be hosting Letter F next Monday! 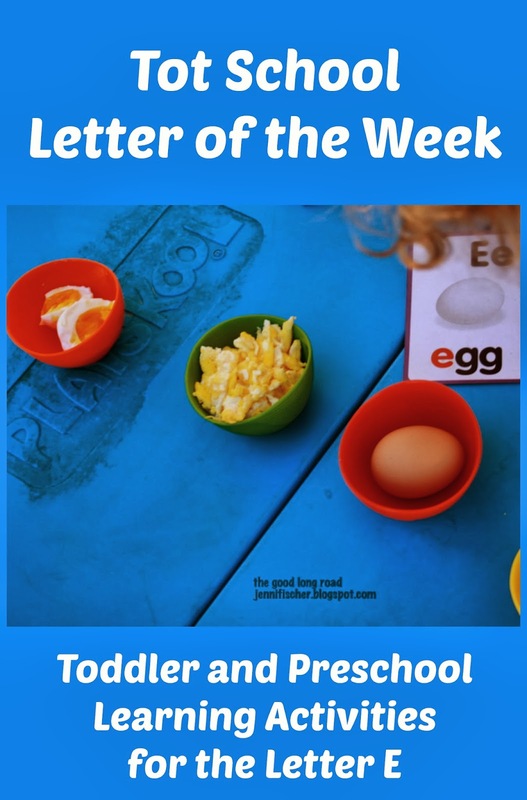 Also, if you missed it, check out last week's Kid's Co-Op post on my site where I shared our Letter D activities and many other Alphabet Activities from the Kid's Co-Op. Sharing at: Share It Saturday, The Sunday Showcase, Link and Learn, 31 Days of ABCs - Letter E Linky, Montessori Monday, Tuesday Tots, Artsy Play Wednesday, Mom's Library, the Ultimate Sensory Play Party, and It's Playtime! Love these. I hope you come share at my sensory play party! I really love that matching activity you made with eyes and ears. What a great idea to use characters they are familiar with!